In this episode I talk about the power of dialogue across difference, using the example of two counsellors who now work together, both grieving the loss of their sons. One killed by an ISIS suicide bomber, the other whilst fighting for ISIS. I talk about processing my own feelings that came up when I took part in the Worcester March for Unity on September 1st, marching past an EDL protest taking part on the same day. And I talk about my vow to save all beings. All of them? Even the ones I don’t like. 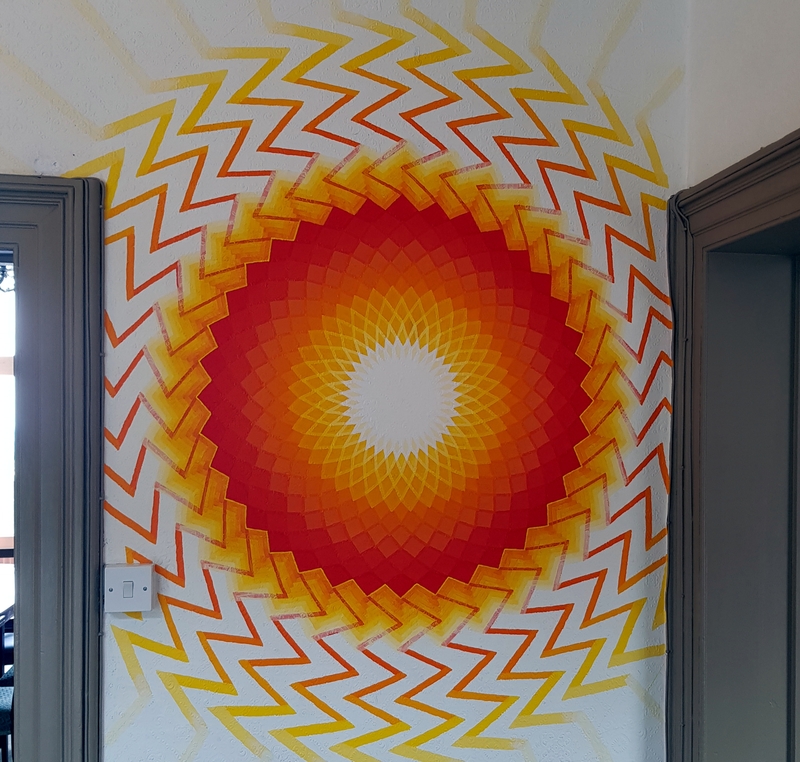 I couldn’t think of a good image to illustrate this, so today’s photo is of our brand new mandala in the temple hallway, painted and donated by the artist Mathew Casey.